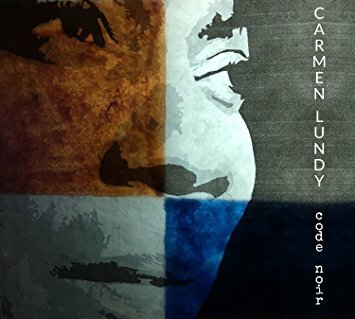 Carmen Lundy’s fifteenth album under her own name is a complete joy. Songwriter, pianist, guitarist, producer, arranger, label boss and (of course) singer, she is also apparently a gifted actress, painter and teacher. Yes, some people just have too much talent. Personally, I would be happy just to listen to her sing, since she is that rare commodity, a real, proper jazz singer. It’s also worth mentioning that every song on Code Noir is her own composition. The album is all jazz, all richly melodic, covering a range of styles, from the angry, Gil Scott-Heron-like Black And Blues to the ethereal opening track, Another Chance, with drifting Bill Frisell-style guitar from Jeff Parker, and the mellow, blissed out I Keep Falling. Speaking of Gil Scott-Heron, Code Noir is somewhat reminiscent of Charenee Wade’s brilliant, contemplative ,Offering from 2015, which not only reinterpreted but greatly enriched Scott-Heron’s songs. Like Wade, Lundy has surrounded herself with fine musicians – in this case, Patrice Rushen on piano, Ben Williams on bass and Kendrick Scott on drums. And like her, she commands the material with effortless authority. Now in her Sixties, Lundy has a gentle, relaxed voice with an impressive range and a distinctive vibrato which never becomes mannered or irritating, even when she indulges in a spot of melisma, as on the soulful 6/8 Live Out Loud. She varies her vocal style from track to track, and on I Keep Falling and You Came Into My Life she scats gorgeously over slow tempos, something that only the most accomplished singers can pull off. The overall songwriting quality is consistently high, including a couple of sambas - The Island, The Sea, And You and Have A Little Faith. If I was desperate to find fault, I would tut-tut at some rather predictable lyrics on Whatever It Takes – which has proved no barrier to regular airplay on Jazz FM in recent days. And fear not the closer, Kumbaya – it’s not what you think. Ms. Lundy is "The Best of the Best" and deserves as high an honor as can be bestowed upon any gifted artist on the planet!Thank you for a great review and your insight.